Forget ‘leftover women.’ In the world of An Excess Male, it’s China’s vast number of unmarried men that’s the problem, resulting in a fundamental revamp of society. In this alternate future, a massive, government-led feat of social engineering has created a new model for the nuclear family: the polyandrous marriage. Becoming a woman’s first, second or even third husband is a valuable prize for a bachelor, in the most literal sense: prospective grooms must pony up millions of yuan just to begin the matchmaking process, and hand over a sizable chunk of their life savings as dowry by the end. With such formidable barriers, lesser concerns like love and free will tend to fall by the wayside – for both men and women. Wu May-ling was only 16, for instance, when her parents married her off to two brothers, Hann and Xiong-xin, for a ‘record-setting’ sum. A sheltered upbringing, designed to mold her into a desirable wife, preceded life as a 22-year-old stay-at-home mom. Lee Wei-guo is twice her age, and has worked hard all his life to save up for a dowry. Despite his optimistic outlook on life, he fears that Wu and her two husbands may be his last chance at familial bliss. As we follow the story of Lee, Wu, Hann and Xiong-xin, author Maggie Shen King deftly paints a dark portrait of the future. But while her debut novel has generated comparisons to dystopian classic A Handmaid’s Tale, it’s nowhere near as bleak. Part of the reason is that the story maintains a strong connection to China’s past and present. Despite its sci-fi twists and turns, the novel is full of eerily relevant moments – like viewing recent history in a funhouse mirror. For instance, in an echo of the fines used to enforce the former one-child policy, ‘China First’ legislation offers tax breaks to couples who accept additional husbands. And at the time the novel takes place, the government is aiming to reverse a cultural preference for male offspring by mandating that children inherit their mothers’ surnames. Just as in the real world, however, regulations don’t always work as planned: Lee notes that ‘the birth rate has skyrocketed in anticipation’ of the new legislation, and even China First policy may backfire by ultimately pushing men to look overseas for wives. In an effort to maintain social unity, the Party falls back on old-school mentalities. China’s 40 million unmarried men, rebranded by government campaign as ‘The Bounty,’ are treated as anything but: males suspected of having mental handicaps are rendered sterile and institutionalized, lest they pass their genes on to the next generation. Openly gay men must label themselves ‘Willfully Sterile’ and are forbidden from starting families. Even married couples must bend to the Party’s will, with divorces all but impossible. The tale of fear and repression that King spins does have some plot holes. For instance, with society supposedly overrun by ‘excess males,’ it seems counterproductive to discriminate against gay men, for pragmatic as well as moral reasons. And it’s not clear what action other countries’ governments are taking, if any, as China falls ever further down the totalitarian rabbit hole. Still, King weaves an engaging story. As Lee’s relationships with Wu and her husbands deepen, we discover that their union is much more complicated than it looks, with each family member hiding their own secrets and agendas. Against the backdrop of a repressive regime, the main characters’ chances of finding fulfillment – with love, companionship and family – seem slim. But that’s exactly why An Excess Male succeeds as a novel: while building up an intriguing world, it never loses sight of the poignant human story within. 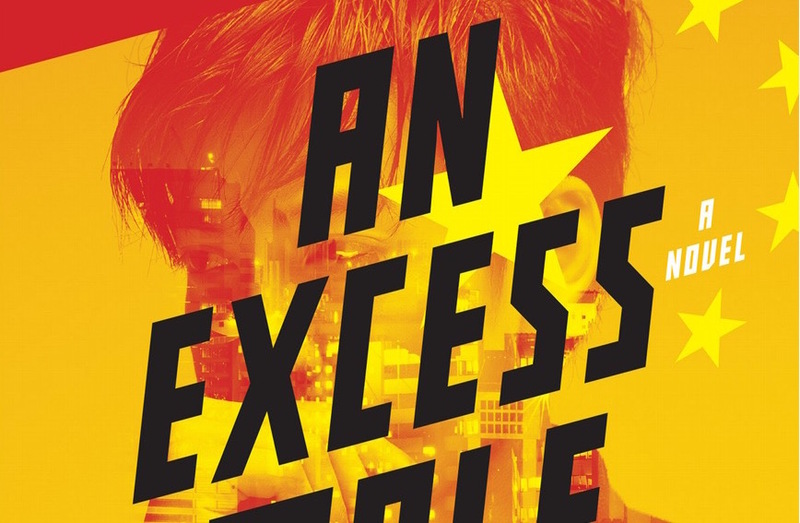 An Excess Male is available on Amazon. Six famous names who made a mark in Shanghai. "Life, Love and Misadventure in the Middle Kingdom." Swedish journalist Johan Nylander's explanation of "how China's smartest city is challenging Silicon Valley." In both title and structure, Shenzheners draws inspiration from James Joyce's Dubliners, a collection of short stories based on a similar premise. Wartime China through an American correspondent's eyes. 13 daring "visions of the future," held back by clunky characterization. A memoir of growing up (and out) of China by Chinese-British writer and filmmaker Xiaolu Guoof. Sign up to get the entertainment, lifestyle and event news from That's Beijing every week! Explainer: Just What Exactly Are the 'Two Sessions'?